If you didn't already know, I am slightly addicted to skincare. It takes me a while to test things out as I have to make sure that my skin doesn't break out, actually benefiting from it and then using it within my routine. 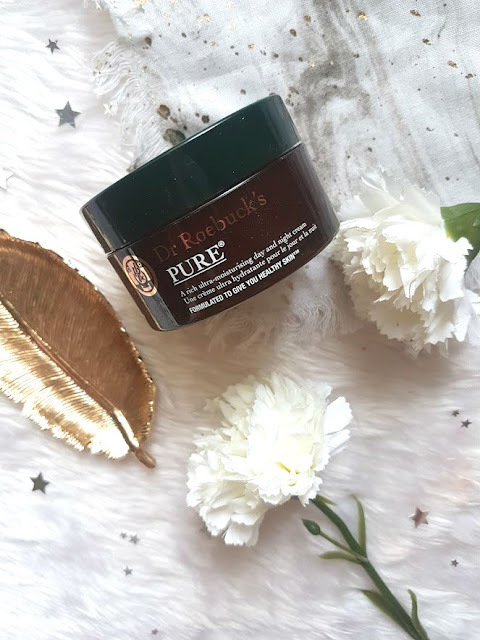 I have been slowly adding some bits from Dr Roebuck's into my routine to see how they are and have to say that they didn't disappoint. I've been using some in the morning, some at night and then just mixing them up into my everyday routine. The Pure Ultra Hydrating and Repairing Créme is something else, it is perfect for my very dry yet oily skin. I have never tried a moisturiser that is thick like this, when I say think I mean its a good thick as it layers onto the skin, and makes it so soft. I wouldn't say this is suitable to use in the morning due to it being so thick, it doesn't sit under makeup very well but in the evening it is the perfect thing to hydrate and nourish the skin. This is also perfect to use on the rest of the body, I have been applying a little bit in the arm creases where I suffer from eczema and this has really helped soothe it. This is a little mini set of a few different products, I took these with me to London this Easter weekend as they didn't take much room up and minis are just the cutest right? The set include the face créme mentioned above, which I would have taken with my either way! Then a face one, which I didn't really use very much as I love the Pure but the Face one is designed for the skin and is much lighter than the other. It sits under makeup much better but has to be left for about 10 minutes before having makeup applied on top. There's also a lip balm, which smells incredible. I apply this every night and wake up with the softest lips, lipstick has never applied better on them! In this little mini set is also a try of Polish. I need to get myself a full size of this like asap. Its a 2 in 1 mask and exfoliate, that unclogs pores, and buffs away dead skin cells. I love applying this on hair washing days, put the product on for a while to allow the mask properties to work their magic and then after washing my hair, I scrub to exfoliate - MATCH MADE IN HEAVEN. It is so good at both of these things and my skin hasn't broken out from it! Days before this gorgeous box of goodies arrived, I had been looking at buying a serum to incorporate into my routine as I was missing something and a serum was just that. Dr Roebuck's actually have a range of 4 different serums in their line, and I have been trying two of those. 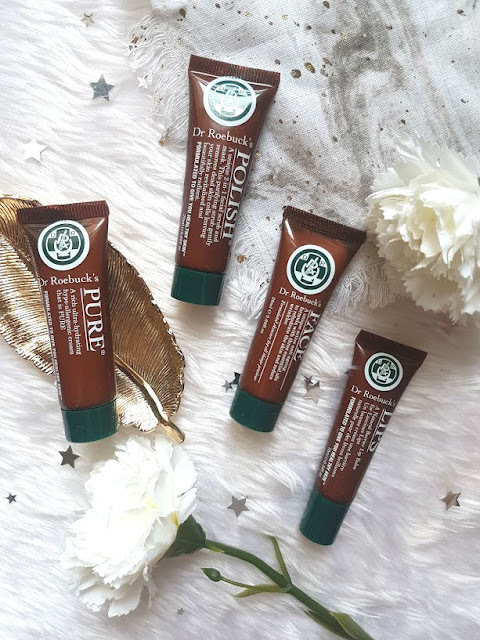 The one of the two that has been the standout for me is the Protect and Prevent, it has ingredients inside of it that my skin loves, the main one being Myramaze which helps combat dryness and gives me those instant glowy skin results. I love this has been designed to help the overall skin rather than target a specific concern. Including this into my routine (which is very simple) has made such a difference. 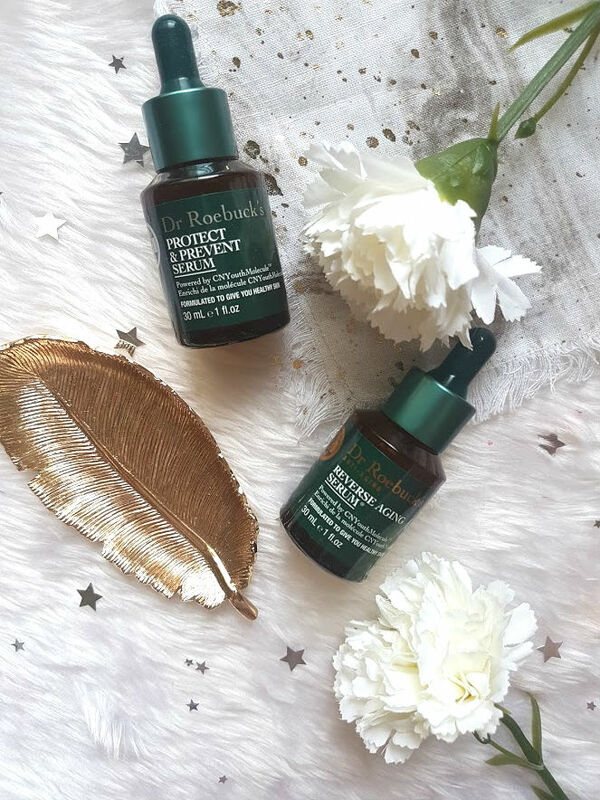 The other serum is the Reverse Ageing serum, which works to help diminish the appearance of fine lines, wrinkles and dark spots. I don't suffer with the first two as much but I think its always a good think to start. I have however, loved using this for dark spots and plumping the appearance of my skin. The formula for both of these are very similar, they are not runny or thick but almost primer like and sink straight into the skin. I adore them! 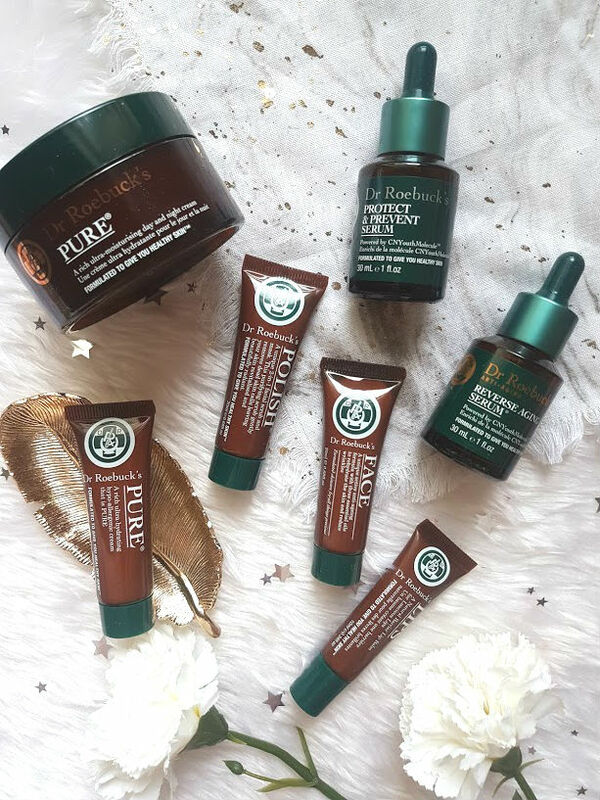 Overall, Dr Roebuck's has stolen my skincare heart and I can't wait to see the long lasting and long term effect of using them.